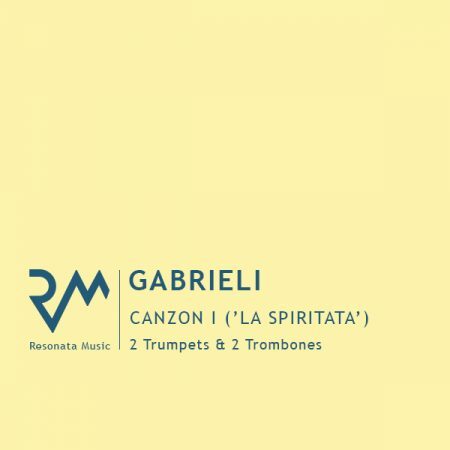 Gabrieli had at his disposal the Doge’s personal piffari, a permanent group (from 1568) of wind players—cornetts and sackbuts—plus a couple of violins and violas for variety of colour. 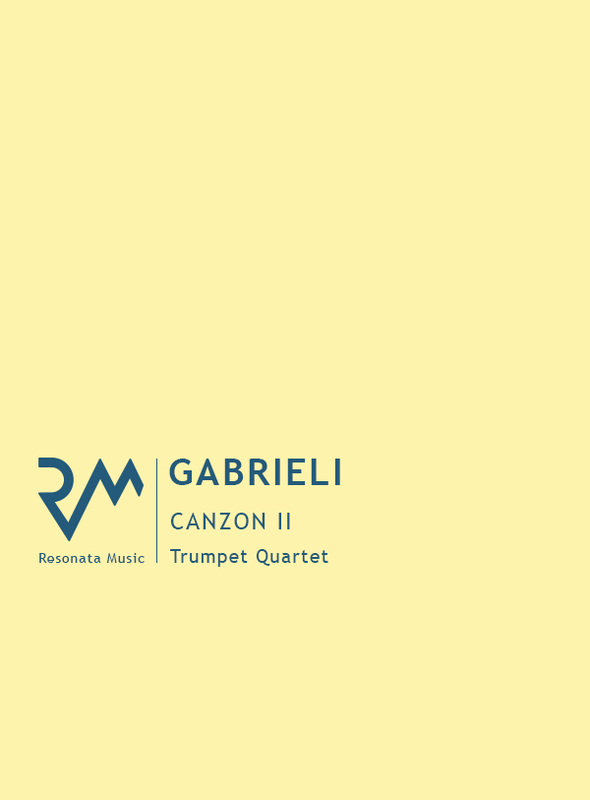 Not only did he use this group of virtuosi to double the vocal lines in some choral works, but he also composed canzonas—purely instrumental pieces—that would have taken the place of parts of the Mass in the liturgy, of which this is one. 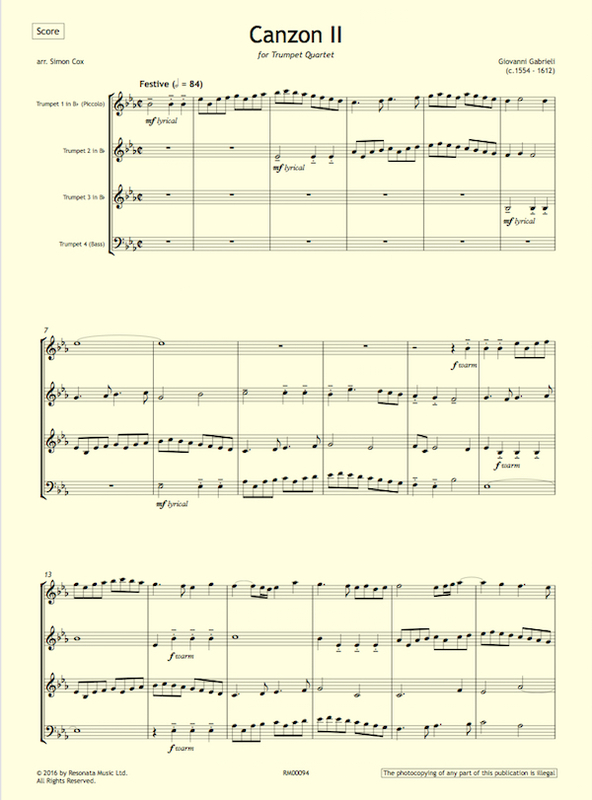 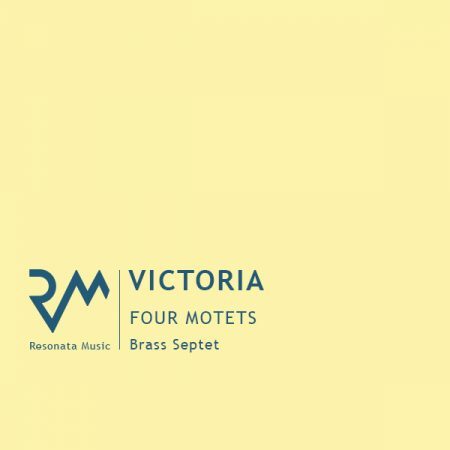 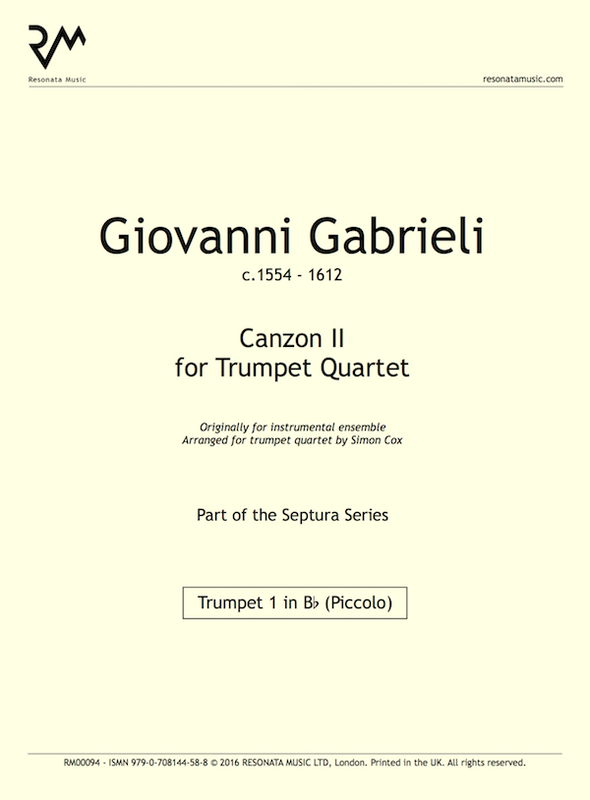 This edition is for trumpet quartet (with either a valve trombone or bass trumpet playing the role of fourth trumpet) and features ‘diminutions’—florid ornamentation of their lines—based on a treatise by Girolamo Dalla Casa, the capo de’ concerti in St Mark’s.